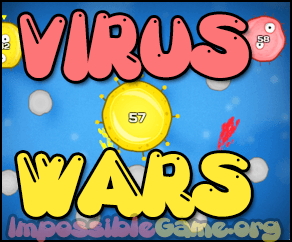 Virus Wars is definitely one of the top flash games you have ever played! You are the Virus and spread yourself, take over all the enemy cells! You should be much smarter than your enemies because in each level they become stronger & smarter. Earn points after each battle and upgrade your virus speed, reproduction, strength & defense! Enjoy the Game!